The GK1545T-82TQD is a Traveler tripod/head kit comprising the GT1545T Tripod and the GH1382TQD Center Ball Head. 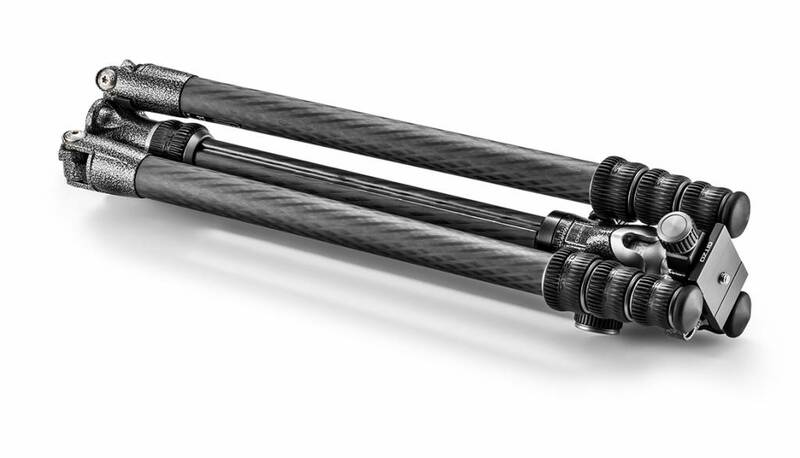 The Gitzo GT1545T Series 1 Traveler carbon fiber tripod is an ultra-compact, 4-section support with an 180° leg folding system pioneered by Gitzo, which enables its legs to reverse-fold around the center column and the head, allowing it to fold down to 42.5 cm. It is recommended for use with 135mm lenses (200mm max.). With its leg angles spread and the included short center column inserted, the tripod goes lower for low-angle or macro shots. The tripod’s legs are made of Carbon eXact tubing for superior strength and stiffness in a slimmer size and feature the “Traveler G-lock” , a travel-size version of Gitzo’s G-lock, specifically designed to ensure security in reduced size. Its specially-designed compact rubber feet can easily be replaced if necessary. It comes with its own shoulder strap for comfortable carrying. The GH1382TQD Center Ball Head Series 1 Traveler is the slimmest tripod head in the Gitzo professional tripod head range. This model features independent pan lock. It provides uncompromising ball smoothness and is constructed with high-quality, high-resistance steel and aluminium components. The GH1382TQD Center Ball Head is supplied with a short, Arca-Swiss compatible plate (GS5370SD) and is also perfect with all Gitzo's D profile plates. Its quick-release plate is kept locked with a screw-knob and a bubble level helps photographers keep a straight horizon. This tripod head fits most Arca-Swiss style plates from other brands. It does not feature a friction control knob. Like all the other Gitzo Center Ball Heads, the GH1382TQD is a perfectly balanced and versatile tripod head, engineered to ensure the ultimate smoothness and precision of movement and secure locking. The GK1545T-82TQD is a high-quality carbon fiber tripod and head kit built for demanding, globe-trotting photographers who like to travel light.